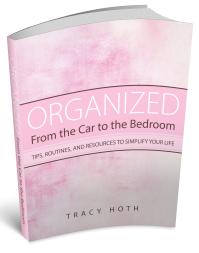 What Is Stopping You From Getting Organized? Follow These 6 Steps. 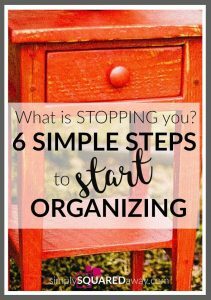 What Is Stopping You From Getting Organized? 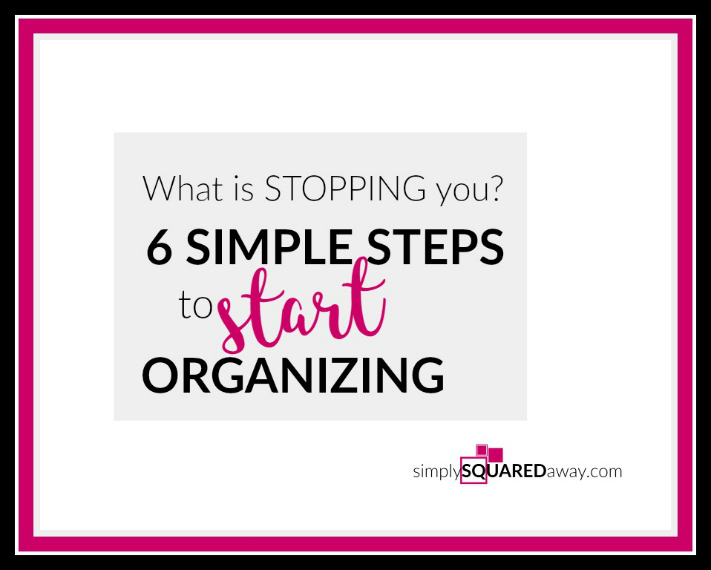 What is stopping you from getting organized? What is it? 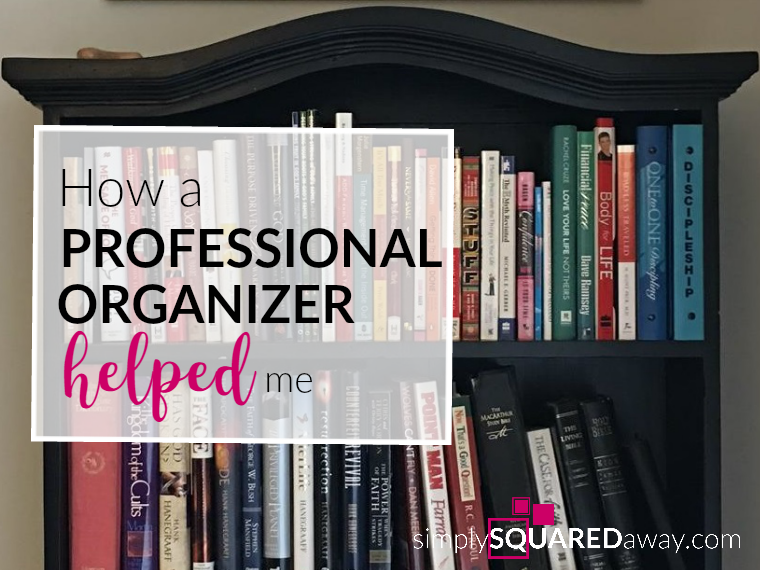 If you know organizing can save you time and money, provide a peaceful, calm environment and improve your relationships (because you’re not stressed out and grouchy) then why in the world are you not organized? 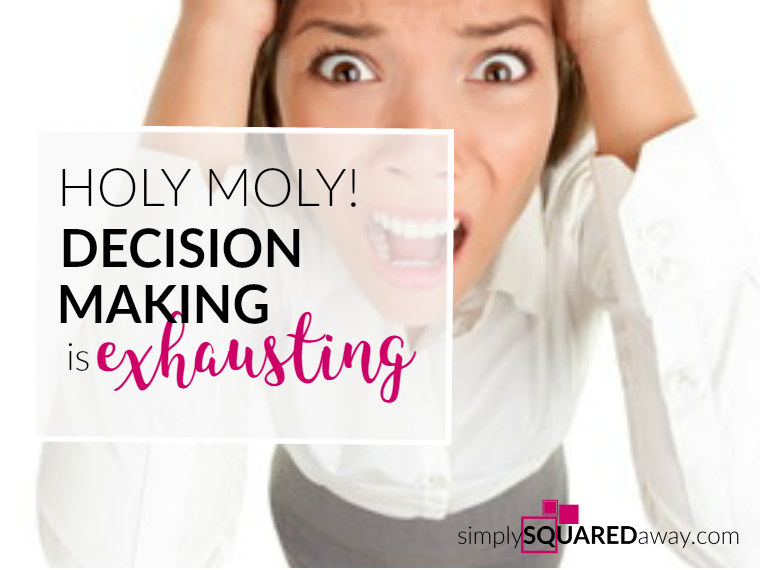 Most clients and people I talk with say they are overwhelmed and don’t know where to start. Yep! It can be overwhelming and starting can be the hardest part. You know when you want to lose weight and the first day you workout it seems like its not going to make a difference. What good did it do? What will it hurt if you eat just one cookie? The road ahead is so long (have you ever driven across Kansas) it seems like it will never end. That is what organizing one drawer feels like. What good did that do? You turn and look and the whole house is one big mess. It seems impossible, like a long road that never ends. It is easier to give up. The drawer will probably be a wreck in a few days anyways. Why bother? Anyone that has lost weight, ran a marathon or learned a new skill has done it by STARTING. I laced up my tennis shoes and stepped on the treadmill. You said no to one piece of candy (oh, it is so hard!) and yes to some yummy vegetables. He practiced and practiced even when it seemed he’d never be good. When I help someone that is overwhelmed and doesn’t know where to start we just have to pick an area, grab one thing and sort it into a category. Pick a drawer or a shelf. Choose an area that is not totally out of control. When I first start working out I’m not wanting to wake up the next morning unable to move, so I start with light weights or a short walk. My suggestion would be the kitchen towel drawer or the cups/glasses cabinet or one drawer of your dresser. Empty out the space first. As you empty it, pick up one thing & SORT it into a category. Continue until the area is emptied and everything is out and sorted into categories! Wipe down, vacuum and clean the space once it is emptied. 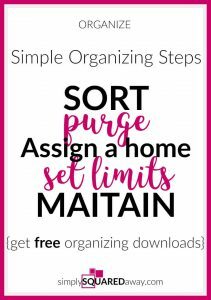 Now that you have category piles, go back through each pile and PURGE. Get rid of what you can. If you don’t use it or love it, get rid of it. If it is ratty and stained, get rid of it. You now have all the things you love and use remaining. Your task is to ASSIGN HOMES to these. The cabinet or drawer you just emptied could be the home. If the item belongs in a new location move it to it’s new home. We have limits for ourselves so that we keep our stuff under control. SET LIMITS by using containers and shelves and drawers. A drawer is a natural limit. Once the drawer is full you know you need to purge again. 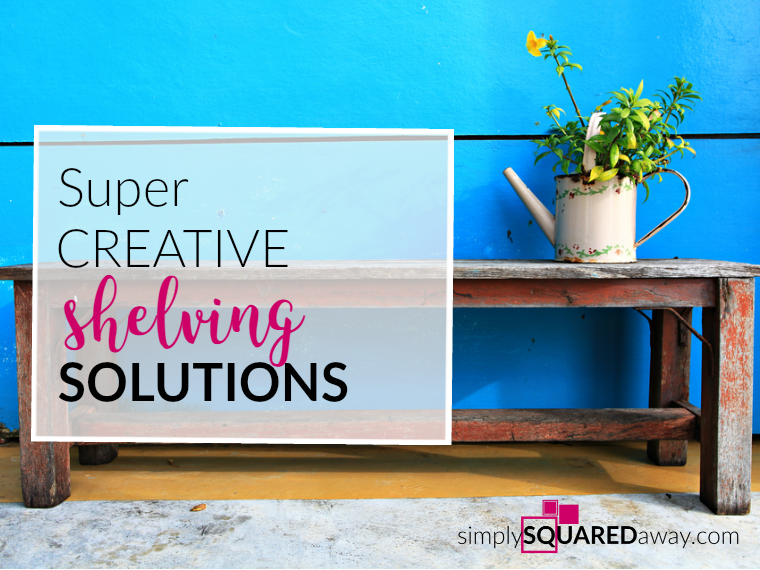 You could also set a limit in a drawer by using drawer dividers or baskets. Set a plan to MAINTAIN what you’ve worked so hard to attain! Labeling the space helps everyone in the family know what belongs there. I use any Brother P-touch Label maker like this one. 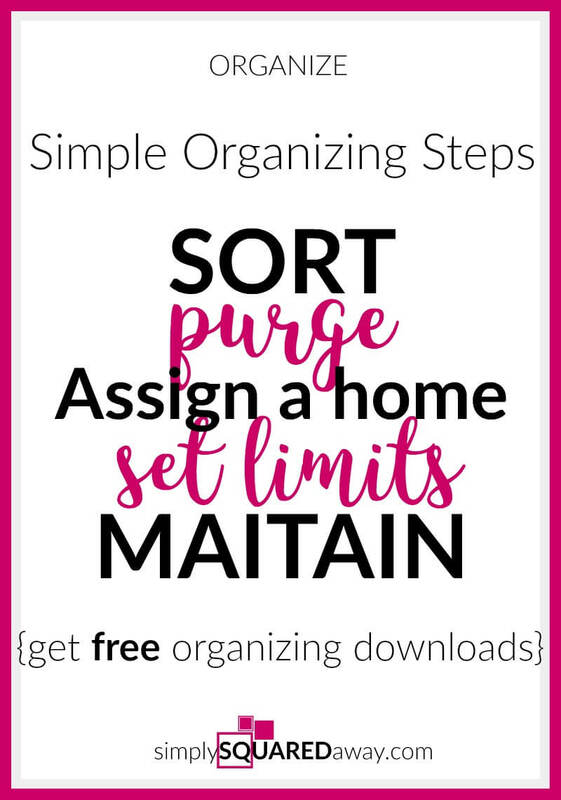 Routine cleaning and organizing will keep your spaces purged and tidy. 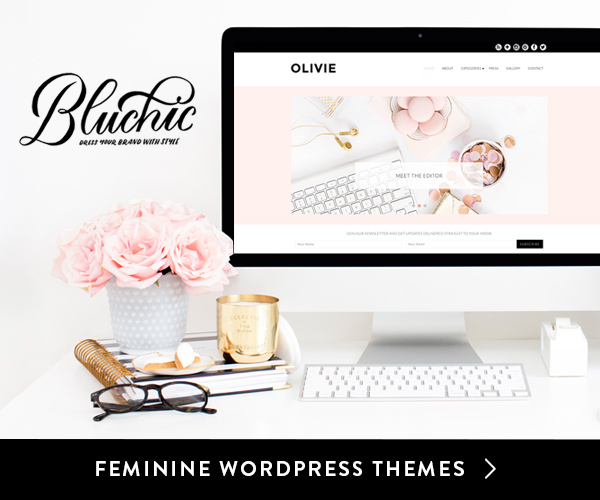 Still overwhelmed about what to do first and where to start? Choose one drawer, one shelf inside one cabinet…set the timer for 15 minutes and GO! By adding accountability through a friend, social media, family coming in town staying with you, a coach, or a professional organizer, you will increase your chances of success! 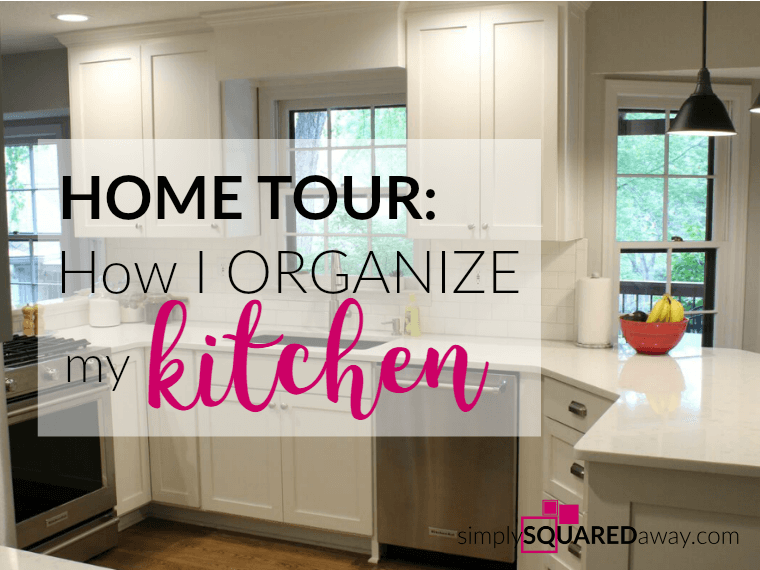 What small area will you choose to organize? Make it public by sharing it in the comments. 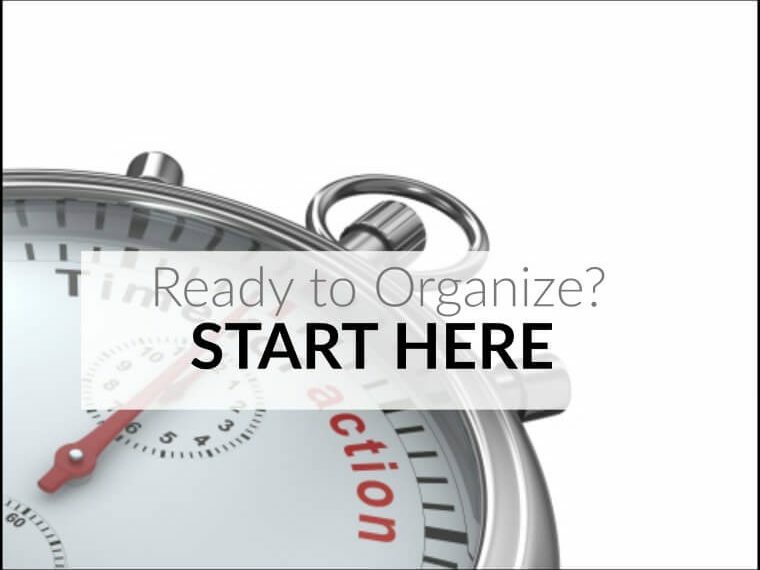 Download these articles on each step of the organizing process to learn more. Totally free. « Accountability and High Fives! 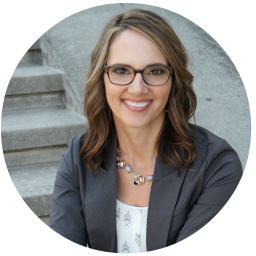 4 Comments on What Is Stopping You From Getting Organized? so will miss many days of the program. Will there be another program ?